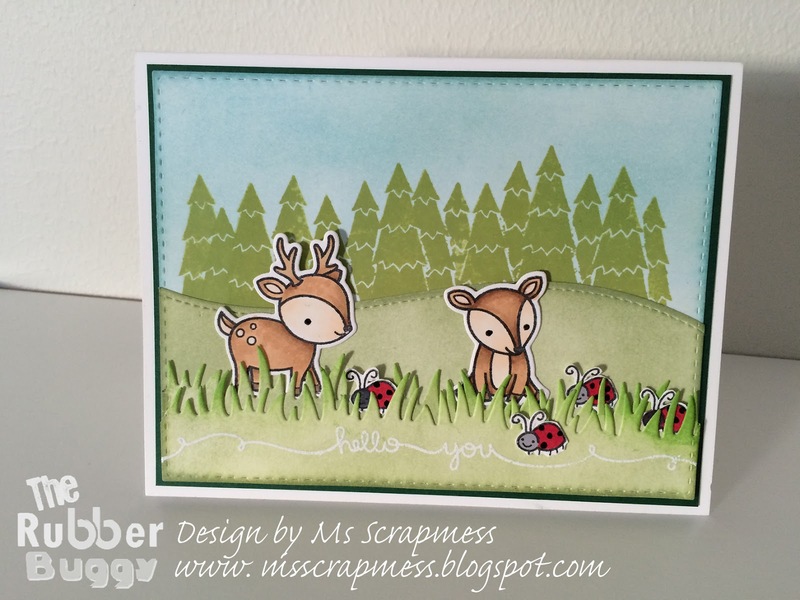 I'm here with a fun card using my winter stamps from Lawn Fawn, Toboggan together. I colored my scene with distress inks. 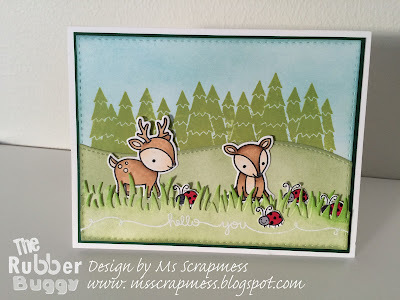 For my grassy borders I added some Lawn Fawn ink to the tips of the grass. I also used a mask for my trees behind the hill.